Dr. Emily McGuire joined her father and sister at Langworthy Family Dental after graduating from the University of Iowa College of Dentistry in 2010. She is excited about being back in Dubuque after completing her undergraduate and graduate education in Iowa City. 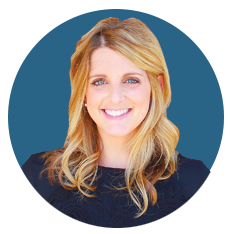 Dr. Emily enjoys getting to know her patients and working with them to select the best treatment options to improve their overall oral health. She is committed to furthering her dental education through continuing education courses in a variety of topics. In her spare time she enjoys cooking, running, golfing and cheering on the Hawkeyes! Dr. Emily and her husband Scott have a son, Jackson and three daughter’s, Brooklyn, Francis, and Grace.